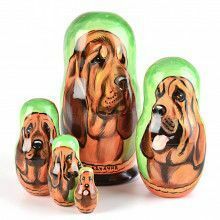 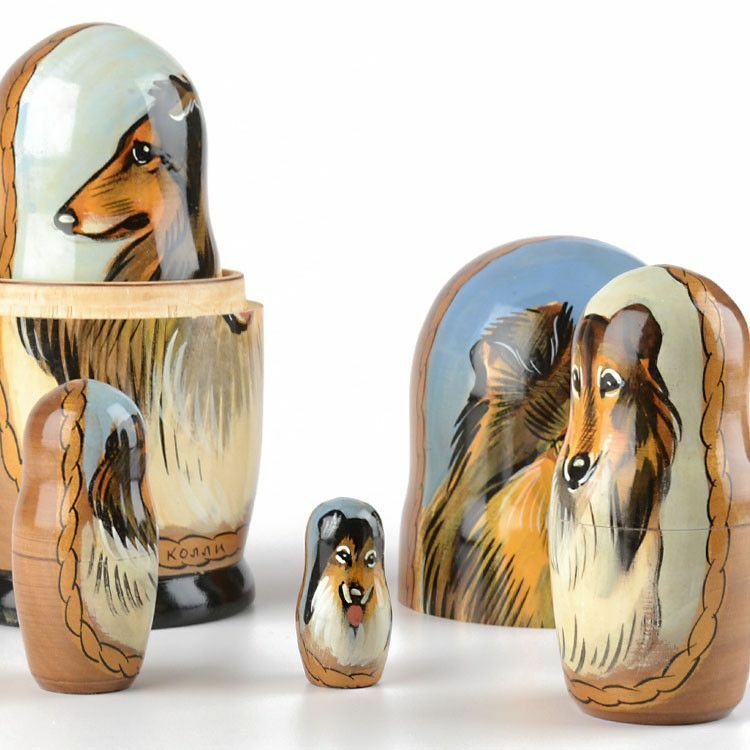 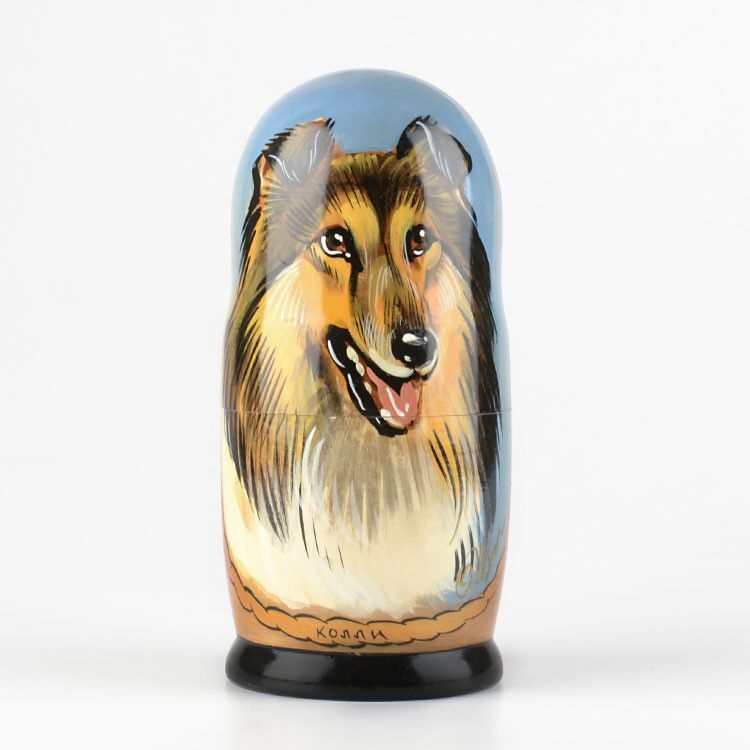 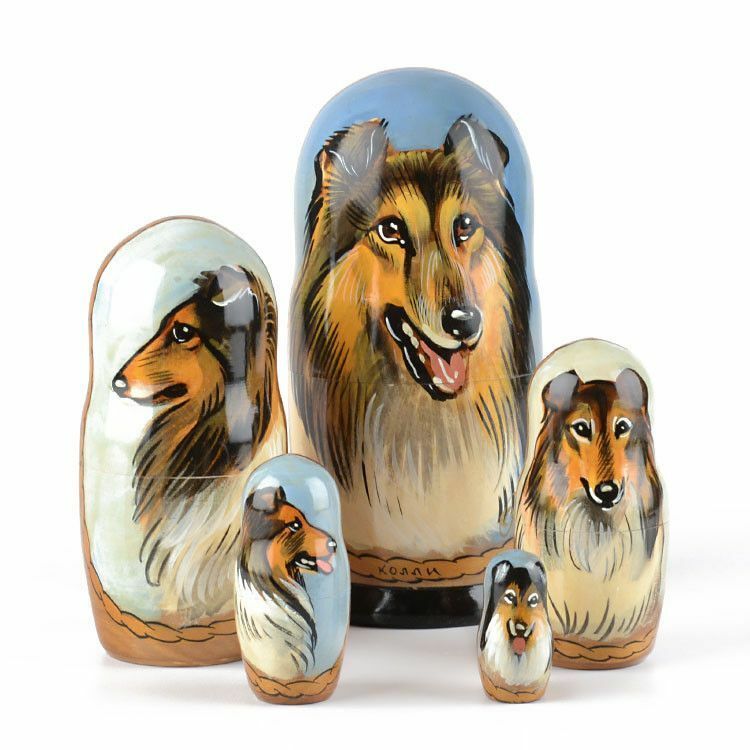 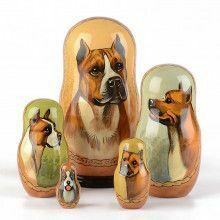 Hand-made in Russia, this wooden stacking doll features 5 different illustrations of the Collie Dog Breed. 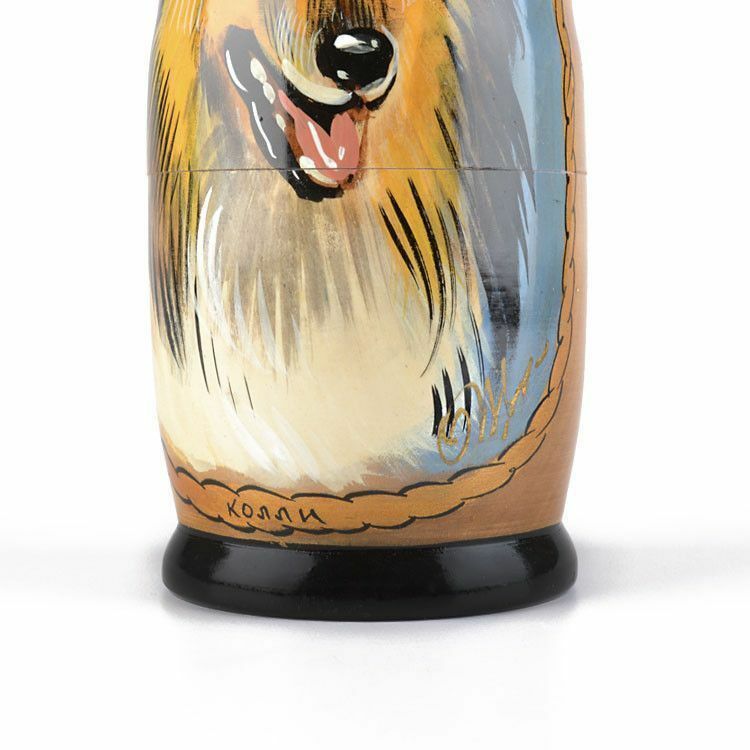 This particular doll is signed on the bottom by the Russian artist. 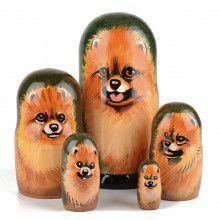 As with most Russian stacking dolls, this 6.5" tall stacking doll makes for unique home decoration, a fun conversation piece, a piece of functional art, and also a toy!